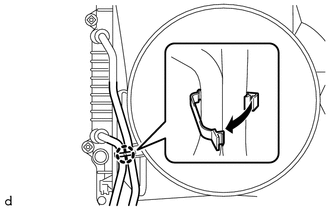 (a) Disengage the clamp to separate the 2 transmission oil cooler hoses from the fan shroud. 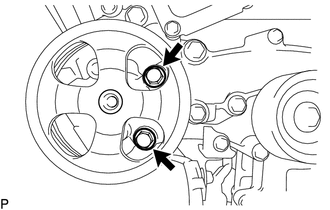 (a) Remove the 2 bolts and separate the vane pump assembly from the timing chain cover assembly. 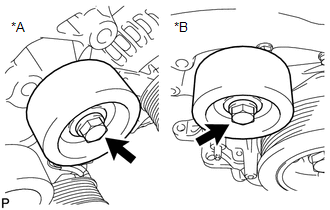 (a) Remove the 2 bolts and 2 No. 2 idler pulley sub-assemblies from the timing chain cover assembly. 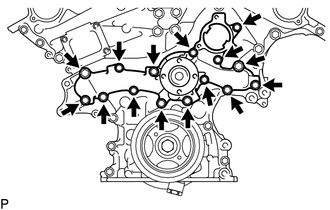 (a) Remove the 15 bolts, engine water pump assembly and gasket from the timing chain cover assembly.